WaterPave offers two permeable systems: DriveCon™ permeable concrete, and DriveTec™ which incorporates a resin-bonded stone top layer. Unlike 'no-fines' concrete which has virtually no structural integrity, both WaterPave systems have been engineered to carry everyday vehicle loads, while still allowing the rain water to flow through and recharge the soil below to satisfy local council permeability requirements. To learn more about the benefits of our water permeable concrete solutions don’t hesitate to get in touch with the team at WaterPave. 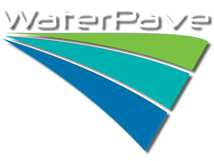 WaterPave is the industry leader and innovator in the construction of bonded permeable or pervious paving, servicing the civil, commercial and residential construction industries. When it comes to quality solutions in permeable paving Melbourne residents and contractors know they can trust our experienced and passionate team to deliver affordable products with unmatched customer service. DriveCon™ is a cost-effective and durable alternative to traditional permeable tarmac products. Maintaining the same standard function as permeable tarmac, DriveCon™ is a far more environmentally friendly option for any upcoming construction or urban development project. Simply because it is a permeable surface does not mean that it has to make concessions in terms of strength or structural integrity. Our products are built to last, meaning they’ll function as-new for years after the installation. " The DriveCon™ permeable concrete system consists of a single-pour method. Unlike 'no-fines' concrete, this system is made up of specialised binders and fine aggregates mixed together to form a strong, trafficable, rigid paving system. DriveTec™ is our premium two-layered system. The top layer comprises UV-stable resins mixed with granite or marble aggregates bonded to a coarse aggregate sub-base to form a strong rigid permeable paving system. After a long and lengthy process, WaterPave has developed and patented a removable stormwater strip drain insert called EcoPanel™ using our resin bonded permeable aggregate technology.